Nestled in the serenity of the Halliloo Valley in the heart of the Surrey North Downs, Woldingham Golf Club’s excellent course and facilities have become a popular destination for golfers. Designed by renowned American course architect Bradford Benz, the beautiful rolling course makes the most of the contours of the valley in which it sits, with deceptively undulating fairways and no shortage of hidden bunkers! The unusual double 9th and 18th greens play out in front of the clubhouse and make for interesting gallery viewing! A par 71 course in excess of 6,000 yards long from the yellow tees, the course has a number of tricky par 3’s in particular the 2nd which offers an elevated shot to a green surrounded by strategically placed bunkers. 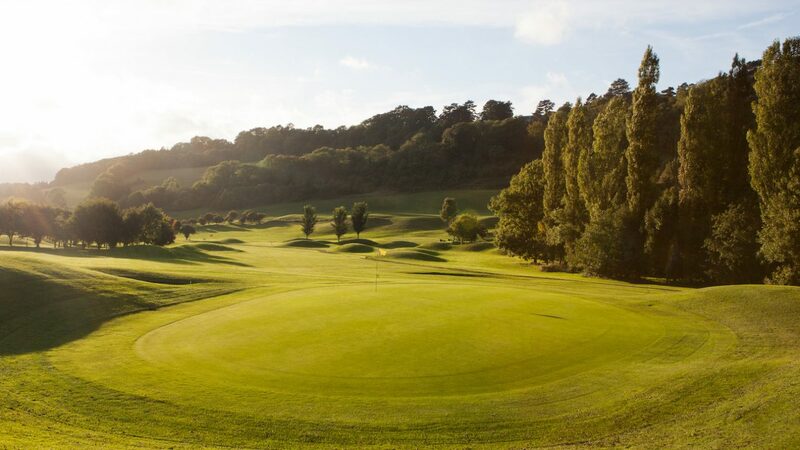 Built on a chalk base with USGA specification greens, Woldingham offers year round play. Surrounded by the course, the Club’s stately neo-classical style clubhouse has the air of a country mansion and houses a comfortable spike bar, spacious changing facilities, pro shop and elegant function suite with balcony areas. Woldingham Golf Club welcomes bookings from both private societies and corporate bodies looking for a hassle free day of great golf and first class hospitality and visitors are welcome throughout the week, all year round. Society packages require a minimum of 8 golfers. lunch and dinner options, freshly prepared by our chef. Woldingham is situated in the Halliloo Valley, just off the A22 and close to M25 junction 6. Just 35 minutes from London Victoria by train, the nearest station is Woldingham (2 mins by car), where there is a taxi rank. We welcome visitors 7 days a week. Please book online for our best rates: www.woldinghamgc.co.uk or call 01883 653 501.